The arrival of spring is heralded by a slew of wedding invitations in the mailbox and weekends from late April to early June are filled with the ceremonies to attend. While many people no longer believe in destiny or fate, everyone is curious at least once in a while, especially when faced with life-determining decision such as marriage. Though they might not fully trust the results, it can’t hurt to take a sneak peek at their future together. In Korea, many speak of “saju palja” when things don’t work out. Phrases such as “It’s my palja” or “It could be because of the bad saju” are often heard across generations. “Saju palja” literally means “four pillars and eight letters.” According to ancient theories, each person has one’s own cosmic energy determined by the birth hour, date, month and year. 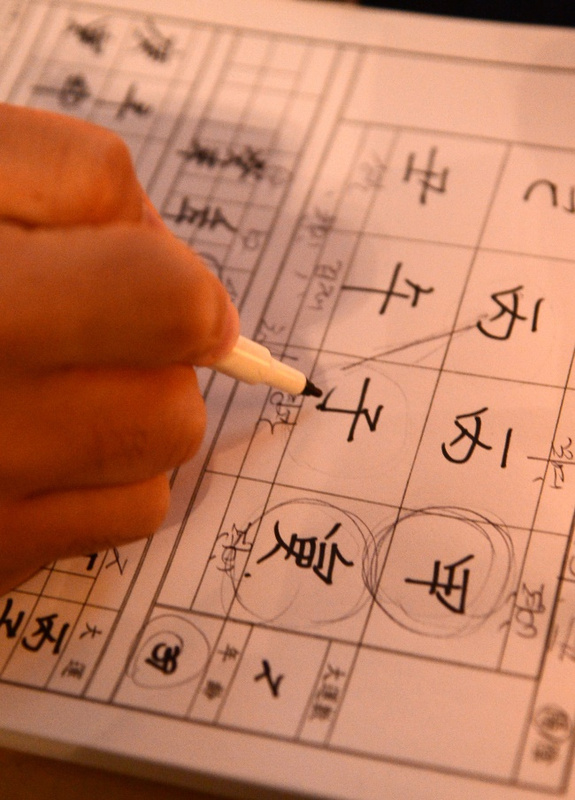 A fortuneteller can decipher one’s nature, character and fate with the birth data. While the concept is often dismissed as superstition, it has been enjoying an unexpected boom recently, thanks to the younger generations. More and more young people, faced with an uncertain future, are consulting fortunetellers. One reason is that more methods of reading one’s fate are available – in ways definitely trendier and more convenient that visiting a shaman. Near Konkuk University in Seoul around 30 stalls line the street. 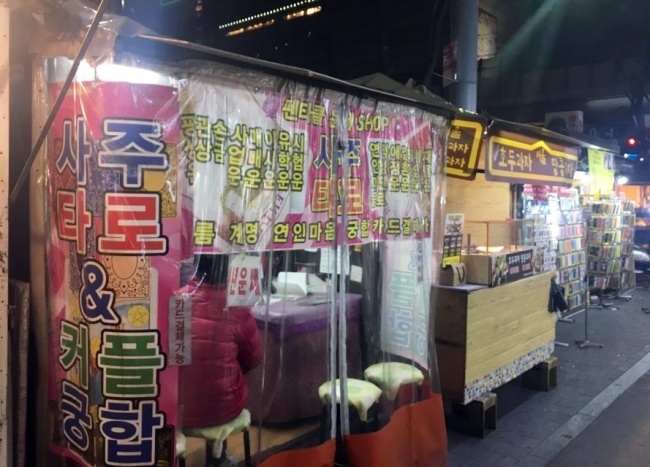 Spotted among the stalls selling street food and smartphone cases are signboards advertising “gunghap.” At a casual glance, it seems more than 30 percent of the stalls here display the “gunghap” signage. “Gunghap” refers to the marital harmony of a couple. Determined by saju, the birth data is said to predict a couple’s compatibility. According to the theory, one has the characteristics of water, fire, wood, earth or metal. The harmony between the spouses’ characteristics is important. In the past and even now, when Korean couples planned to marry, they or their parents would go to a fortuneteller to ascertain the couple’s gunghap. Furthermore, the fortuneteller would recommend a marriage date. Couples, even those just dating, also check gunghap for fun. Kim Ji-min, a 26-year-old student, recently checked the compatibility between her and a guy she has been seeing lately. 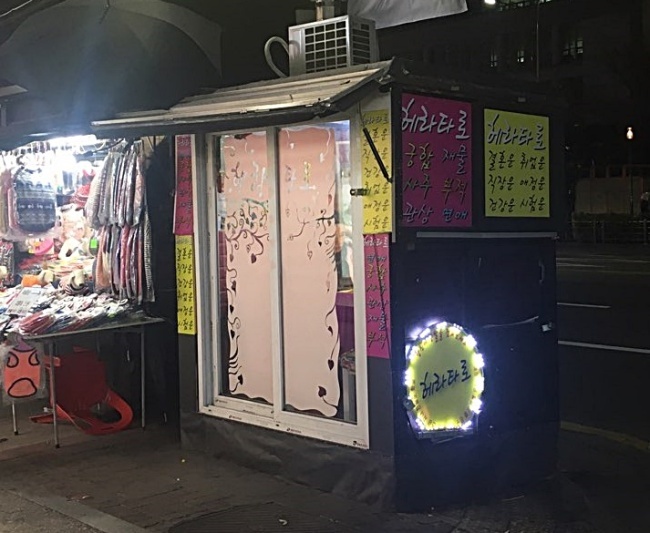 In crowded areas of Seoul, such as Hongdae, Gangnam and Myeong-dong, one can easily spot “saju cafes.” In the Gangnam area, more than 20 saju parlors crowd a single alley. 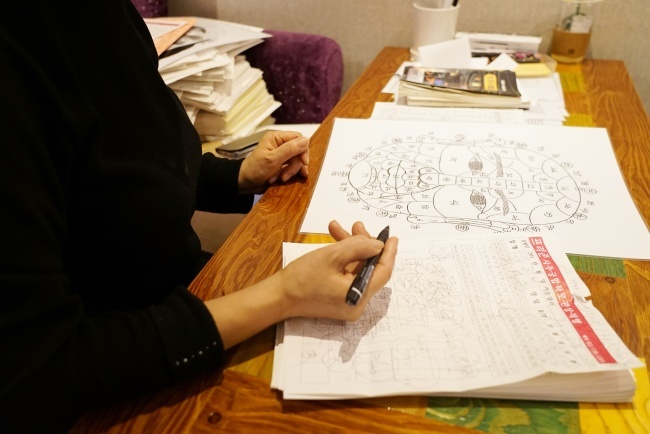 Inside such cafes, fortunetellers offer hints into their customers’ future over a cup of coffee or tea. The consultations usually last from 30 to 60 minutes, and are priced between 10,000 won ($9.40) and 30,000 won, excluding the charge for beverages. A fortuneteller surnamed Jun runs a saju parlor in Gangnam. Arguing that saju palja is based on scientific theories, she thinks practitioners should carefully study the concept. According to Jun’s explanation, mostly people in their late 20s and early 30s visit her to ask about their future, including love. Visiting as couples, the customers most frequently ask about jobs and marriages. 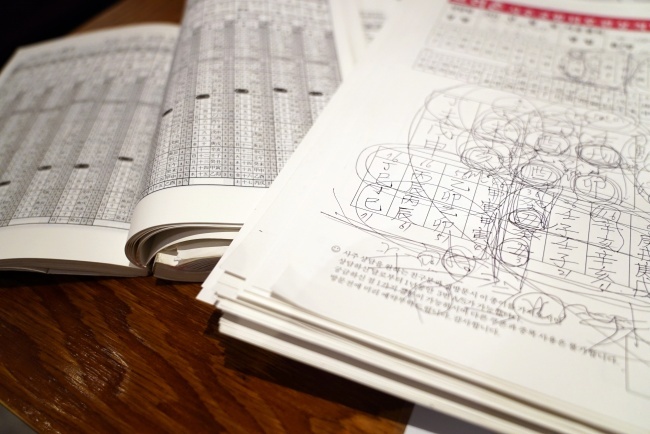 Recently, “Jeomshin,” a fortunetelling app, has become a major hit. The app, meaning “fortune god” in Korean, was developed by Handasoft, a software company that specializes in fortunetelling apps. Jeomshin has been the company’s biggest hit, recording more than 3 million downloads. The app was originally launched in 2015, and with its popularity has seen numerous updates. By entering one’s birth information, users can find out their fate via mobile devices. The app also features an alarm function to give users their daily fortune every morning.